Today is the big day of the PC Plus - Shoppers Optimum merger. However with so many millions of members it looks like there are issues happening on the IT side of things. I tried setting up my new account and keep getting errors when trying to link my Shoppers Optimum card both online and via the new app. 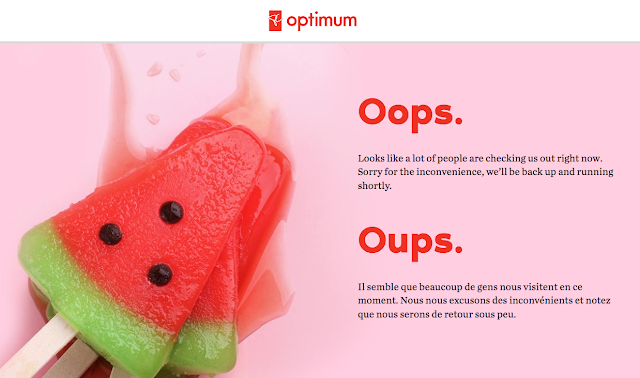 A major fail on their part for the first day of the new PC Optimum program. Not a good way to kick things off. How are things working for all of you? Were you able to link your accounts before the site went down today? Read our post on the merger here. Hilton Hotels has opened their first Embassy Suites Hotel in the Greater Toronto area. 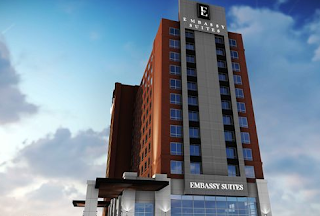 The newly renovated Embassy Suites by Hilton Toronto Airport is now open for stays! Find out more and book the hotel here. Rewards Canada Giveaway - Enter for a chance to win a pair of Maple Leaf Lounge Guest Passes!